Sevens gentle giant Pio Tuwai aims to make the team to the Las Vegas- Vancouver fourth leg of the World Sevens Series in March. 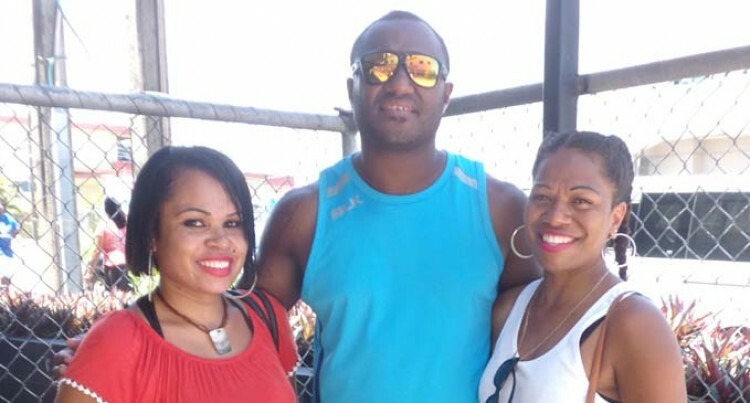 Renowned for his outrageous offloads, he was with his wife Lily Bainivasu Tuwai in Ba Town yesterday, whom he married on Thursday. Last night the couple celebrated their wedding with a traditional feast at Nasolo Village, Ba with family and friends. The shy giant was over the moon with his new bride and said his daughters Maki, 7 and Joyce, 4 had become very close to the new love of his life. Lily said she loved the children and had become attached to them. Tuwai said his aim was getting into the team for the Las Vegas-Vancouver leg. He rated the Vodafone Fijian 7s team as a “very good” side and he would need to work hard to get a place in the squad for the next leg.